Both may draw the Norgaard family back together again. Aven Norgaard is finally feeling settled in Blackbird Mountain. The sorrow of losing her husband in Norway and the difficulty of sailing to America to begin a new life are but shadows now. Aven is enjoying married life once more, and she and Thor are anticipating the birth of their first child. All seems to be going well until Thor, who has been deaf since birth, agrees to an interview and medical examination to help the Bureau of Research for the Deaf and Dumb. During the interview Thor and Aven discover that longtime enemies of the Norgaards are back in town causing trouble. Shortly after the examination, Thor becomes extremely ill. Liver disease from past drinking habits or foul play? Haakon Norgaard, Thor's youngest brother, has spent the last four years at sea running from his past. Time and distance have done nothing to erase the pain and regret of trying to force more than friendship upon Aven. And now there's a widow in Norway to add to his list of regrets. 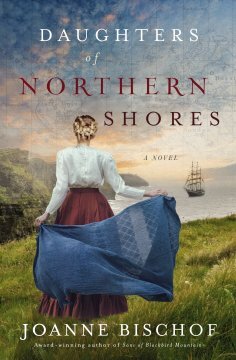 Longing to finally make amends, Haakon is torn between two women on opposite shores and wonders if he'll be welcomed by either. Determined to start somewhere, Haakon finds himself in a battle that may cost him more than he bargained for. In the end, will Haakon find restoration or rejection? Daughters of Northern Shores is the sequel to Sons of Blackbird Mountain. 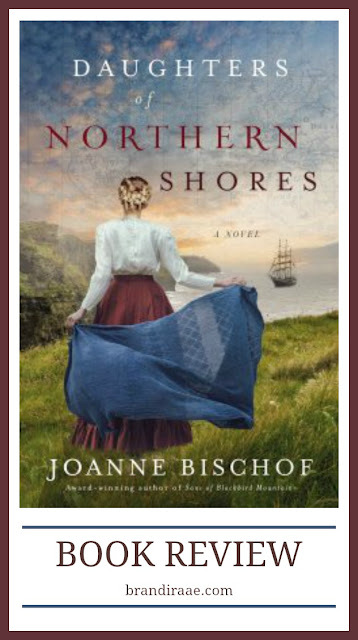 Even though I haven't read the first novel in this series, Sons of Blackbird Mountain, I was captivated by Daughters of Northern Shores. This was my first acquaintance with award-winning author, Joanne Bischof, and I'm definitely craving more from her! Her writing is emotionally deep and rich, which created a story that I felt more than read. Joanne has a way with words that caused me to pause and ponder along the way. Oh, and there's this quote (actually part of a quote) that I absolutely adore and would love to have on my living room wall: ". . . with time and lives precious, there seemed no better hour than this." This quote is such a wonderful reminder for me to be present and take advantage of the time given to me each moment. The icing on the already delicious cake for me was the fact that the Norgaard family hails from Norway. Norwegian blood runs in my veins, and my grandpa even bears the name of Thorson. It's just fun to read stories about places my own ancestors are from. I think it's safe to say it's a good book when tears stain my cheeks as the end of the novel draws near. Tears for the words wrecking my heart and tears for reminders of loves and losses in my own life. I loved this Christian novel and can't wait to go back and read Sons of Blackbird Mountain!